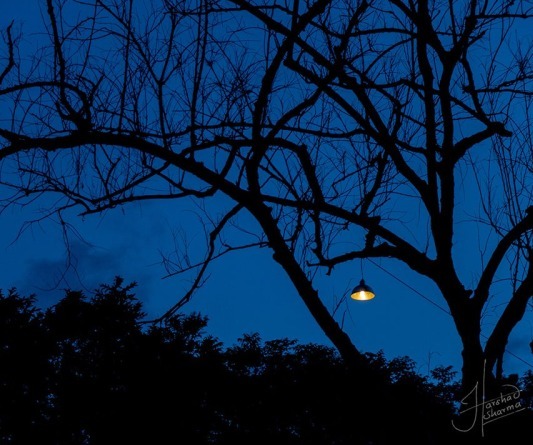 Every evening she lit the lamp that hung on the Palash tree, so he wouldn’t get lost on his way back home. The tree was dead now like the look in her eyes. They had both been alive and blooming once. That was before he went away, leaving behind only a promise of return. The tree had given up after waiting for what seemed like forever. She was stubborn, she could wait for another eternity and beyond for him. The pain of the wait made her feel alive. She found pleasure in the pain.